Who thinks China is a threat? Three lonely hands wave in a packed Massey University lecture theatre. Who thinks China is an opportunity? Jonathan Watts asks. This time, over half of the 140-strong audience raise their hands. China’s large land mass and long coastline make it well-suited for wind generation projects. 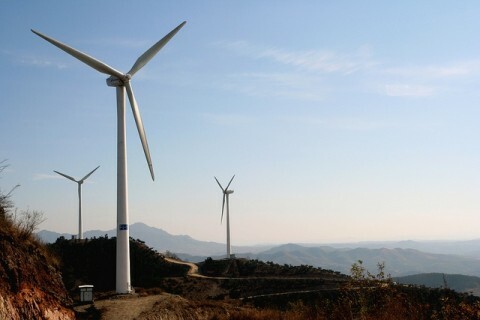 In recent years, China has harnessed this wind with all number of wind-farms. Its wind capacity is set to triple by 2015. Watts, the Guardian’s Asia environment correspondent, believes China is both. His April tour around the country followed the lessons of his 2010 book When A Billion Chinese Jump: How China will save mankind – or destroy it introducing the notion of China’s potential as a ‘green’ superpower. Red China, I’d learnt from history books. A black China, with its smog, rubbish and stench, I knew from a recent holiday. But a green China? Surely, Watts is pulling my leg. Watts’ hour-long talk in Wellington was enlightening to say the least. China is a superpower still in the throes of industrialising. A new coal-generated power plant is built every week. The number of cars on the road has gone up five-fold in the last nine years. Capitalism-driven development is happening at rampant speed. But at the same time, China is trying to grow a low-carbon economy. Its government is led by scientists and engineers, and there’s increasing investment in clean energy. The remote desert Gansu province, once the site of numerous coal mines and steel factories, has become China’s largest wind farm in just three years. Its wind energy capability is roughly the equivalent to the entire wind capacity of the United Kingdom, and it’s set to triple by 2015. Elsewhere in the province, the government has constructed a solar power plant with some 76,000 solar modules. China’s drive for renewable energy has largely been brought about by the huge environmental cost. Watts mentions issues that sound awfully familiar: biodiversity loss, strain on freshwater resources, effects of climate change. I’m instantly reminded of our fight to save the Denniston Plateau. Here we are, clean green New Zealand, digging up our beautiful environment to extract non-renewable, dirty coal. Many New Zealanders already know what needs to be done. But perhaps our government needs to take a look overseas. Because China – red China, black China – has already seen the green light.